I became an LCAL student at Lesley University just a semester ago, although I have lived in the US for over a decade. Most of my education was done in Pakistan. While I was student there, the educational method was based on the British system; as a result, it was much different from the educational system in the US. 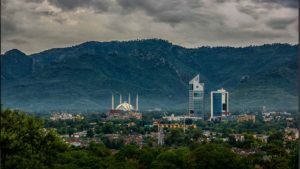 Before moving here, I was already somewhat familiar with America: in Pakistan, I had worked with the United Nations and other international organizations; and I was accustomed to being around people from different nationalities, especially Americans. I also spoke English fluently. Because of all that, I thought I wouldn’t be facing much culture shock when I moved to America… but as it turned out, that was not the case. There were many prominent differences that I found between the culture of both countries, and I had to learn to navigate them. I would like to share a few of the more subtle ones. In my culture, it’s impolite to stare, or make eye contact with a person from the opposite gender, unless it’s a close relative. But here, if I don’t make eye contact, it might suggest that I am not being respectful, or I am hiding something. Fortunately, over the years, I have gotten used to making good eye contact, but at first, it was not something that came naturally to me. Shaking hands with the opposite gender is also not considered appropriate in my religion, and back home I would not offer my hand in a greeting to a man. However, in America, it could greatly offend someone if I refuse to shake his hand, so I have suitably adapted and now I shake hands with everyone in a warm and friendly manner. In fact, I go the extra mile by offering my hand first. Food is next on the agenda. Pork and Alcohol are forbidden in Islam and meat (chicken, goat, lamb and cow’s) can only be eaten ‘Halal’, which is a way of slaughtering meat, very similar to Kosher. In the beginning, I was concerned about what and where to eat, though I needn’t have worried. Of course, there is always vegetarian food available, as many Americans are vegetarians. In my interactions with people here, I am always conscious about how they are reacting to my physical appearance, for example I know that some of them might form an opinion about me just by seeing the way I am dressed, since I am Muslim (I wear a head scarf, which is an important part of my identity), and I am Asian (my shirt/top tends to be longer in length than what most Americans wear, and is called a kameez). I have also found that my Pakistani cotton clothes were suitable for the hot season, and the western pants and dresses were appropriate and warmer during the winter months, so everything worked out. As time passed I realized there seemed to be a solution to almost everything here, as you have lots of choices. You are free to decide what you want to wear, or what you want to eat, and you are free to act as you choose. I even felt free while walking alone, without it being culturally inappropriate (women generally do not walk alone in my country), nor was I getting stared at from head to toe. So while there was a little culture shock, I have adapted. One thing that helped me was living in Cambridge, where I found many tolerant people. Tolerant attitudes are also typical of the Lesley University campus: I have found that Lesley gives us international students such a warm welcome, and makes us feel completely at home, no matter what culture we are from. I am impressed by the friendly and helpful nature of most of the people here. Also, this University provides educational and professional resources for all students, and especially for adults like me who are returning to continue their education, thanks to LCAL. I like the flexibility of being an “Individually Designed” major, and I decided on a Business Management specialization. The first two courses that I took in the fall were very interesting, informative and useful. This semester I am taking three courses, two online and one on campus. In conclusion, I recognize that I have learned a lot while living here, and I greatly appreciate the open and friendly environment which is tolerant to all cultures and faiths. I believe that we all are equal and have similar emotions, be it is happiness, sadness, pain or sorrow; and that we are bound by our connection as part of “humanity”. I hope everyone can appreciate and be tolerant of other faiths as this country is a great mix of people from all parts of the world. That is what I am finding at Lesley, and I am glad that I decided to return to school. “Shukriya”! (That’s “thank you” in Urdu). A view of the Pakistani city of Islamabad.